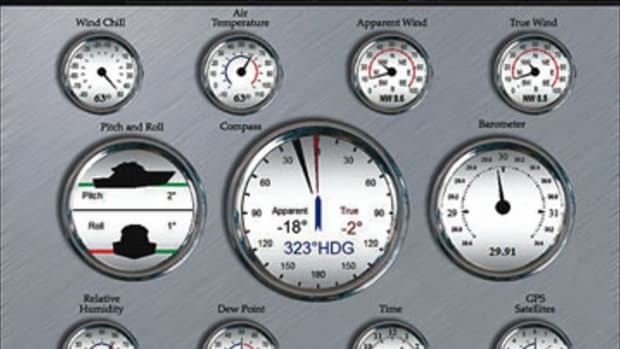 These gauges are using twin FloScan interfaces and GPS to calculate nm/gal and more. Oil! I won&apos;t belabor the pain felt at fuel docks this season, but I sure am glad to report that electronics and engine manufacturers are working hard so that we can get the most boating from every precious drop of petroleum. 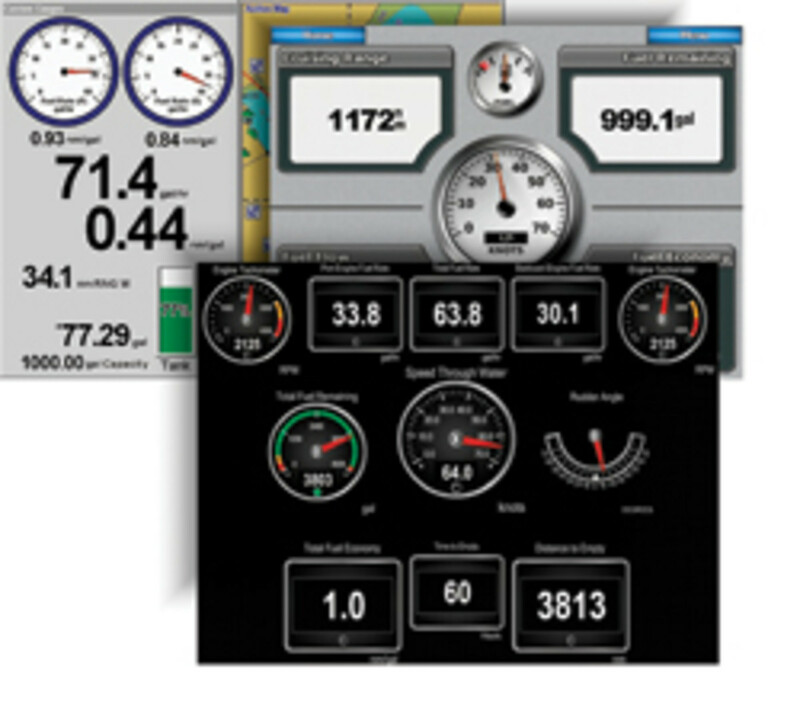 A proliferation of sensors and software, often aided by the NMEA 2000 network standard, are making the efficiency and safety of real-time fuel management possible on any boat. But, as with so many marine systems, there&apos;s a little more to it than first meets the eye. Real-time fuel management is quite different than traditional calculations based on supposedly known gallons used per hour per given rpm, or a manufacturer&apos;s fuel curve, or a tank gauge, or some combination thereof. As skillful as many skippers have gotten at such guesstimating, there is a much better way, the basis of which is moment-by-moment monitoring of the fuel actually flowing into your engines&apos; cylinders (and out of your life). Combine that value with your boat&apos;s real-time speed, and you get the heart of modern fuel management: the number often called fuel economy, or simply miles per gallon. 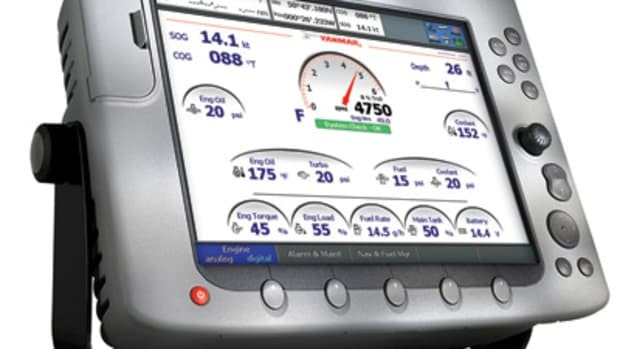 Now, you may be saying to yourself, "What&apos;s the big deal; isn&apos;t mpg for a range of speeds shown in every PMY boat test?" That&apos;s true, and I think it&apos;s one of the most valuable test elements we provide. But a boat&apos;s mpg is subtler and more dynamic than a fixed table can express. A typically granular list of rpm/mpg values tends to look quite linear—the faster you go, the more fuel per mile you use. But there are usually one or more fine-grain mpg sweet spots in your displacement- and planing-power ranges, and they can change with boat load, tab positioning, sea state, and bottom slickness. Naturally, a little sweet became really sweet when fuel prices climbed precipitously, but by golly, some boaters have learned that they can improve mpg by going a little faster! Plus a subtle change in mpg can indicate poor fuel, a clogging filter, or some other engine problem. 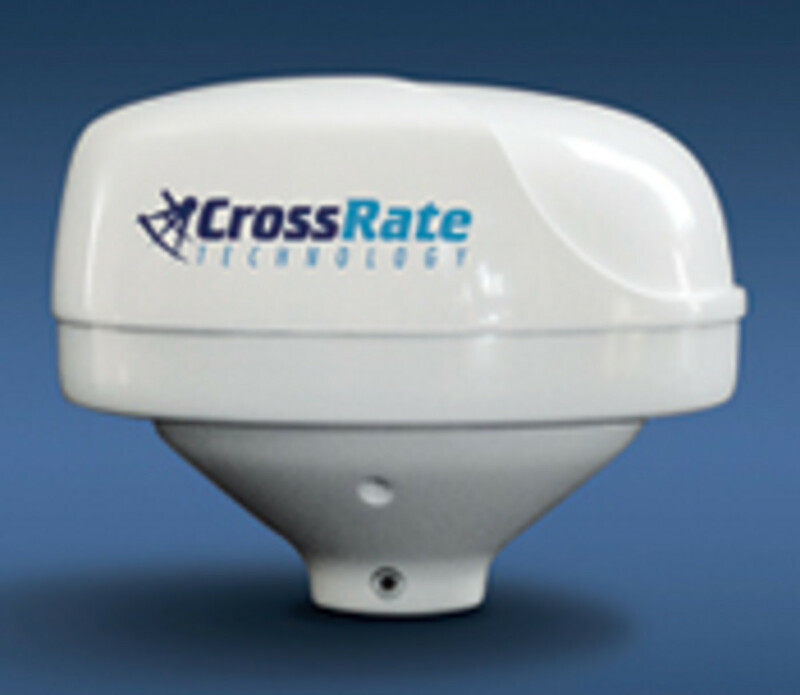 Real-time fuel-flow data can save you money and serve as a diagnostic tool. 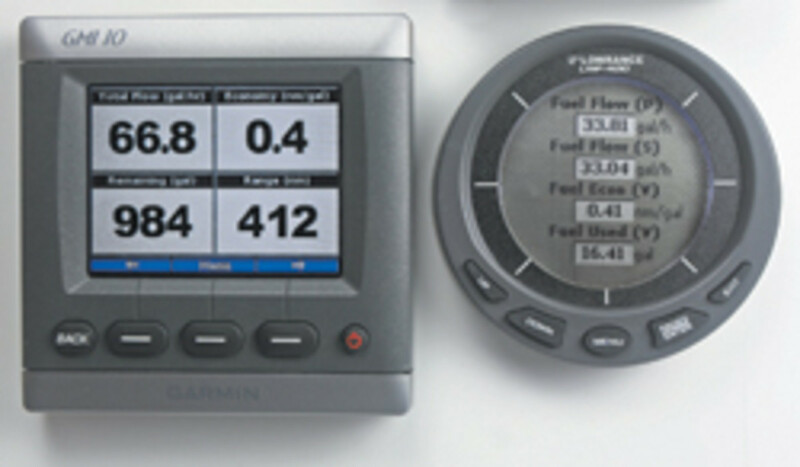 Lowrance, Garmin, and Maretron N2KView displays managing fuel from shared flow sensors. Mechanical flow sensors installed in engine fuel lines are not a new concept. The undisputed king of this niche, FloScan, has been perfecting them for decades and has even developed gear that can handle the complications of large diesel engines, i.e. subtracting the flow returning to the tanks, compensating for hose pulsation, and more. I first experienced the value of mpg on my Volvo Penta stern drive five years ago, using what was then an innovative little Navman gasoline flow sensor with a proprietary cable to that company&apos;s plotter. That gear, which worked fine, is still quite available, though now sold under the Northstar name. But two factors have really changed fuel management. One is the advent of electronically controlled engines, whose ECUs almost invariably deliver precise fuel-flow data to their electronic gauges. Some skippers have it but may not have noticed it yet! Getting the more valuable mpg value is usually just a matter of adding a speed source, either GPS Speed Over Ground (SOG) or paddle-wheel Speed Through the Water (STW). Or the flow data can be routed to one of the many multifunction displays (MFDs) or instruments that will now calculate and display all the info that can be derived from flow. 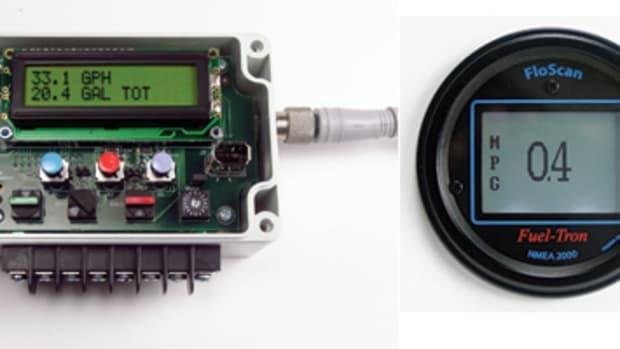 Many of those same Northstar MFDs that can support a mechanical fuel sensor, for instance, can also work with the Smart Craft data available from current Mercury and Cummins MerCruiser engines. 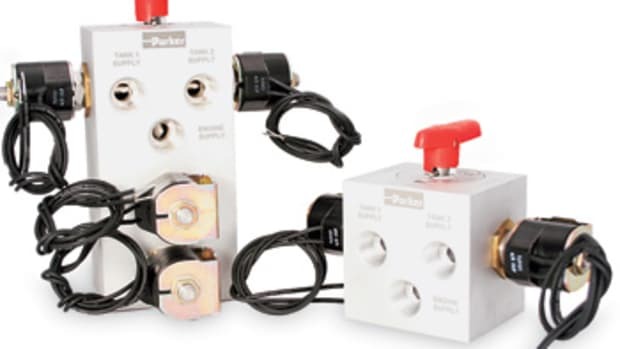 Other engine manufacturers are using NMEA 2000 to deliver ECU data to a vessel&apos;s network, and Yanmar&apos;s new Smart Check is a terrific example. Yanmar&apos;s SmartCheck even includes a clear choice between tank and flow sensors for tracking fuel. NMEA 2000 has greatly simplified the task of applying modern fuel management to nonelectronic engines and was the focus of my summer research. I got good flow time with gasoline-monitoring systems from both Garmin and Lowrance and was impressed. Each offers an inexpensive sensor that&apos;s easy to hose clamp between filter and engine and even easier to T into an N2K backbone. 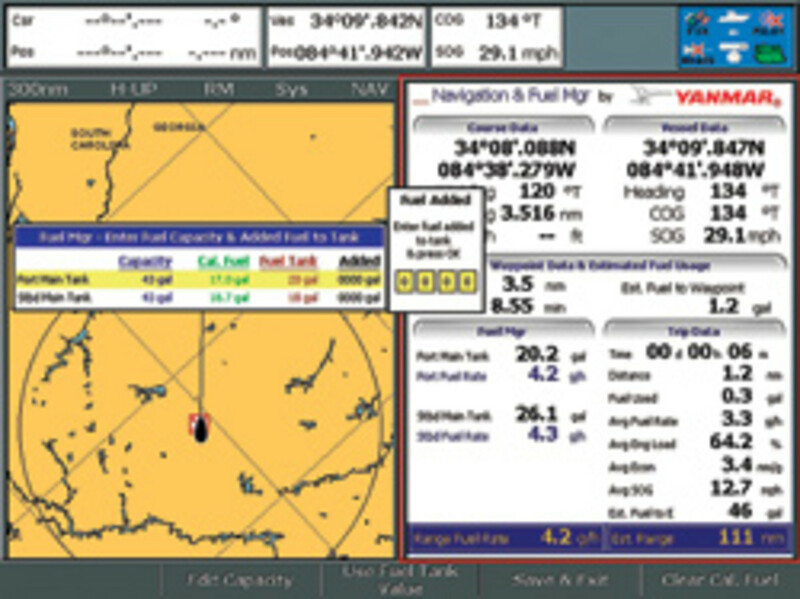 Then you can use either an instrument or an MFD to specify your setup—the number of engines, size of tanks, and their current fill level—and, bada bing, you&apos;ll be getting instant economy numbers as well as cruising range based on remaining fuel and more. 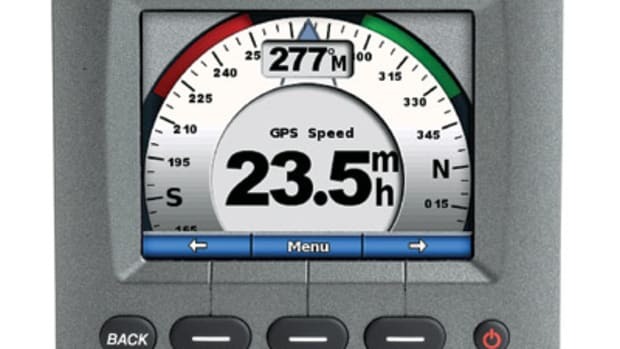 And I saw these numbers not just on Garmin and Lowrance displays, but also on the Simrad, Furuno, Maretron, and Raymarine gear that&apos;s connected to my test network. None of those latter manufacturers yet do as good a job of calculating and displaying fuel numbers as the two who offer their own sensors, but it&apos;s certainly possible, because the flow data is in a standard format, and I&apos;m sure they&apos;ll perfect its implementation. I also wouldn&apos;t be surprised to see more N2K fuel sensors come to market. 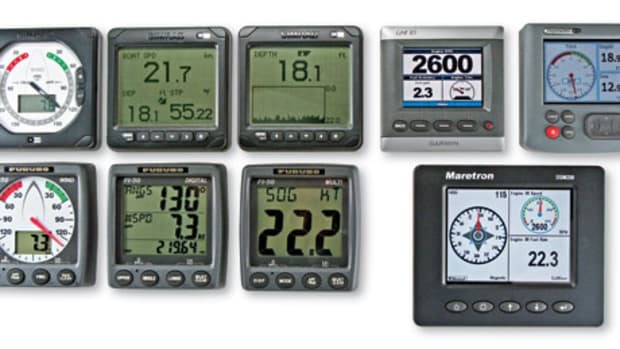 You will need at least a Garmin or Lowrance instrument in order to calibrate their respective sensors, a fairly common situation when enjoying the otherwise multimanufacturer aspects of NMEA 2000. But FloScan&apos;s new N2K fuel-flow interface has all its calibration built in, and it works fine with all the displays I tried. So, yes, you can have FloScan-quality flow data from twin diesels turned into solid economy and range information on your Garmin or Lowrance display, and probably all the others once they fine-tune their firmware. But there are some new concepts to get your head around, like "remaining fuel." Is it what your fuel-tank-level sensor indicates, or what your fuel-management system calculates starting with a set value and deducting the flow it senses? 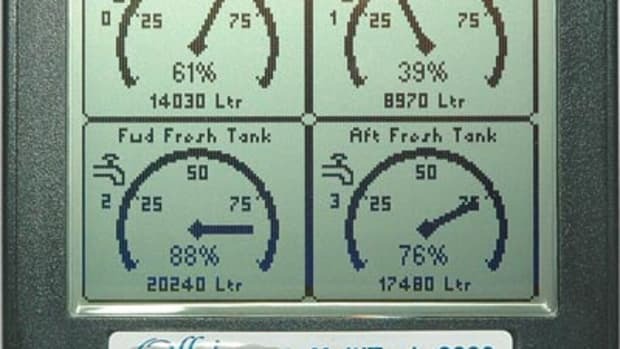 Most displays show the latter and use it to calculate range, mainly because fuel tends to slosh underway. But there are various ways to handle this issue, especially long term when a tank level may vary a lot from a flow-based total. Thankfully I have the electronics blog for fuel-management details like this and more I&apos;ll likely discover. But one thing I&apos;m sure of: When it comes to fuel, knowing the flow is the way to go. Answer: By now most of the GPS receivers involved—certain Northstar 941, 951, 952, 961, and 962 Navigators with vintage software plus some early Saab and Sperry AIS transponders—have exhibited the symptoms and been fixed. But heads up to anyone commissioning a vessel that&apos;s been out of service since February, when the authorities activated the GPS bird known as PRN 32 and the aforementioned receivers started acting weirdly because they were programmed for a maximum of 31 satellites. The companies concerned quickly issued tech bulletins and firmware updates (and I noted the issue on my blog: "Another GPS glitch, some Northstars affected"). But you&apos;re right, that was not good enough for an unknown number of boaters—professional installers, too—who presumed that the intermittent problems must be the fault of an antenna, or power supply, or something else they could figure out themselves. Aside from a few glitches like this, the GPS system has been very reliable, but what if sun spots or bad guys take it out? Thankfully, last winter the U.S. Department of Transportation finally decided that eLoran, an improvement on the old Loran C, will be the official backup electronic positioning system, and I hope to write about the consequences, like the CrossRate GPS/Loran, soon. 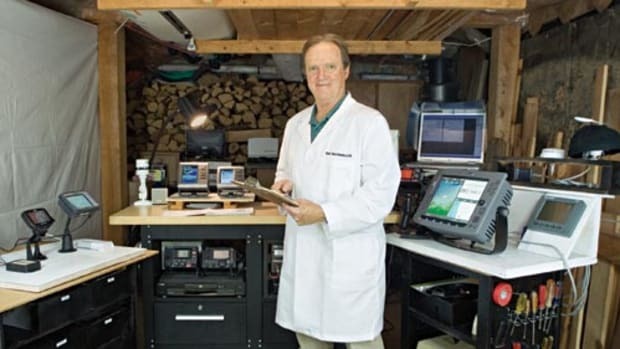 Bigger picture: Marine electronics have gotten so complex and intertwined that it&apos;s a good idea to call a company&apos;s help department before spending too many hours trying to troubleshoot an odd problem. The query won&apos;t always yield useful results, but might prevent a headache. 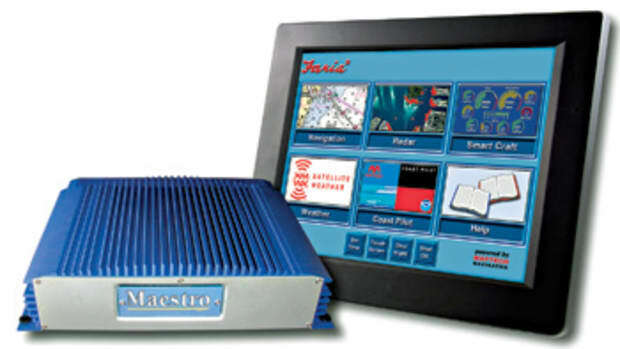 Got a marine electronics question? E-mail PMYElectronics@powerandmotoryacht.com or visit the Electronics forum.